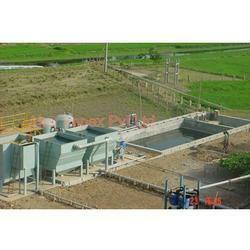 Offering you a complete choice of products which include water treatment plant consultancy service. Upgrading of existing water and waste water treatment facilities. Topographical survey / contour mapping of area. Soil testing. ¨ Raw water analysis of quality / quantity parameters. Piping of water treatment plant / sewer line net work designing. Feasibility study for setting up new or upgrading existing facility. Pumping stations: system design, engineering. Proposals for recycle, utilization of water / waste water. Treatment proposals for raw water and feasibility study for diverse water Treatment systems. School campus and residential complexes. Textile dyeing, printing. Denim manufacturing industry. Akar has done engineering design / treatment process designing for many reputed companies apart from designing for their own clients. Amongst clients for whom we have designed the systems are L&T Ltd., NBCC Ltd., Gherzy Eastern Ltd., BECHTEL India Ltd.. and many other reputed clients.